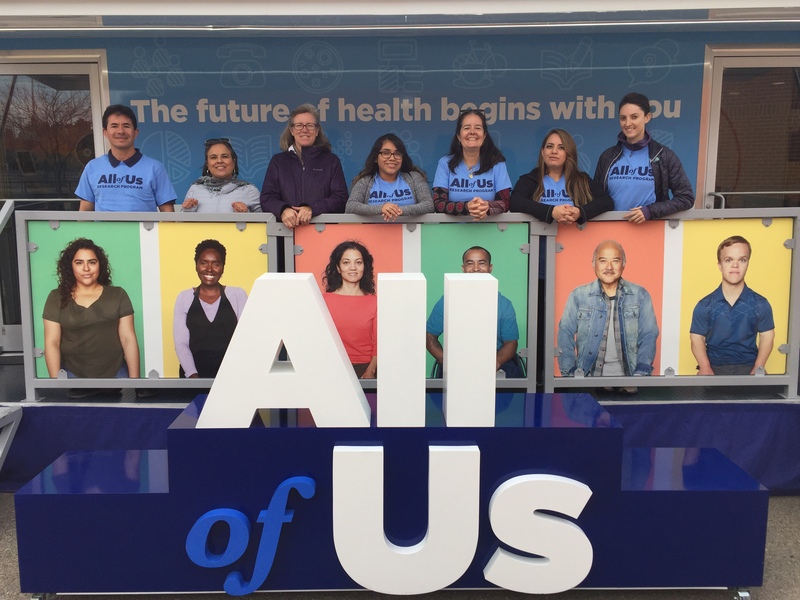 The All of Us Journey visits Lindsay, Oklahoma from Monday, Feb. 11 through Friday, Feb. 15. Join us and the National Alliance for Hispanic Health to learn more about the All of Us Research Program. Visitors will also have the opportunity to enroll in this landmark research program while on site. All activities will take place at the South Central Medical & Resource Center located at 216 S. Main St, Lindsay, Oklahoma 73052. – Mon. 2/11 – 8 a.m. to 6 p.m.
– Mon. 2/12 – 8 a.m. to 4 p.m.
– Wed. 2/13 – 8 a.m. to 4 p.m.
– Thurs. 2/14 – 8 a.m. to 4 p.m.
– Fri. 2/15 – 7 a.m. to 1 p.m.